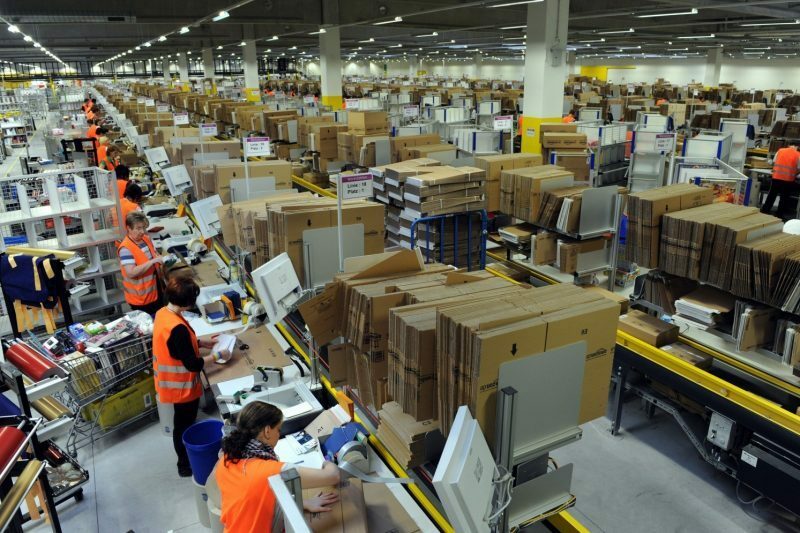 Online operators such as the American giant Amazon (main photo shows their new distribution centre in Chalon-sur-Saône) will soon no longer be able to absorb the shipping costs into the authorised 5% mark-up, according to a new proposed law that was passed unanimously by the Chamber of Deputies (the equivalent of the Dail) last Thursday. From left and right, all deputies agreed that this practice amounted to “dumping” and their voices were, for once, united in a common cause in the Assemblée Nationale to adopt this law which was proposed by the right-wing UMP and amended by the Socialist government. It must now go for approval by the Senate (a political institution that is not in danger of being swept away by referendum). The proposal is to be inserted into the Lang law of 1981 that governs the unique price of the book, which qualifies as a unit of “national heritage”. UMP rapporteur Christian Kert was the one who put in the addendum that in the case of a book shipped to the purchaser, the vendor cannot take on both the legal mark-up of 5% and the cost of transport. The text essentially says that any delivery charges have to be at least 5% of the price of the book. It is these free transport costs offered by Amazon (who have a 70% share of the online book market in France) are considered as giving the company an unfair advantage over traditional bookshops, many of whom are already struggling against the tide of online selling. “Once they are in a dominant position and will have destroyed our network of bookshops, they will put the price back up,” said Ms Filippetti. France currently enjoys one of the most dense national networks of bookshops in the world, with some 3,500 traditional bookshops (of which, 600 to 800 are “independent” – i.e. not belonging to a publishing house, distribution company, bookshop chain or hypermarket). No reliable figures are available for the Irish market but in the UK, which has a population comparable to that of France, there are barely 1,000 traditional bookshops open.